"Career Options for Chemical Engineers"
Dr. Quinta Nwanosike Warren, P.E., P.M.P. 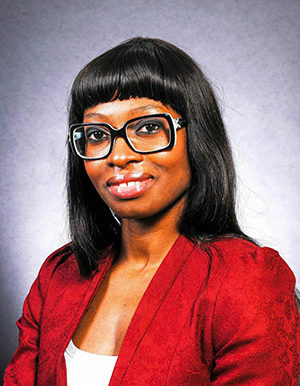 Dr. Quinta Nwanosike Warren, PE, PMP is a chemical engineer and an energy professional. She is an entrepreneur and has worked in industry, academia, and government. She holds a PhD in Chemical & BioMolecular Engineering from the Georgia Institute of Technology, and a Bachelors in Chemical Engineering from the Pennsylvania State University. Dr. Warren previously worked for ConocoPhillips on CO2 capture research, and as a reservoir engineer optimizing heavy oil and tight gas fields. Dr. Warren is currently a AAAS Fellow at the Millennium Challenge Corporation where she works on international development projects in energy. She was previously a AAAS Fellow at the US Department of Energy, where she contributed her technical knowledge to policy implementation and diplomatic engagements around carbon management, power generation and power transmission. When she is not advising the government, Dr. Warren owns and runs a consulting company called Engineering Research Consulting (www.EngrRC.com) which focuses on issues related to energy and water sustainability. The company’s projects include creating the STEM-focused Dakar American University of Science and Technology (www.DAUST.org) in Senegal, and designing a water treatment system for a mushroom farming initiative in Nigeria. She recently published a textbook titled A Practical Guide to Oil & Gas Resource Characterization for Geologists and Reservoir Engineers. Dr. Warren is a Director of the Management Division of the American Institute of Chemical Engineers (AIChE), and regularly chairs AIChE conference sessions related to energy sustainability and career management. In her spare time, Dr. Warren enjoys adventure and traveling to other countries. She recently completed a 3-month trip to 26 countries and all 7 continents, which culminated which culminated in a book titled From Antarctica to Zimbabwe: How I hit the reset button on my life.